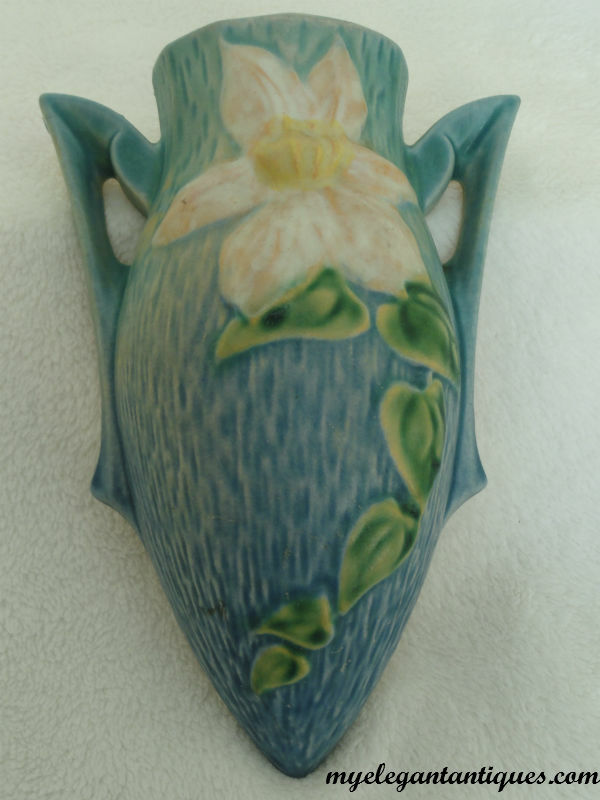 Inspired by Mother Nature, Roseville created beautiful, interesting and functional pieces of art. 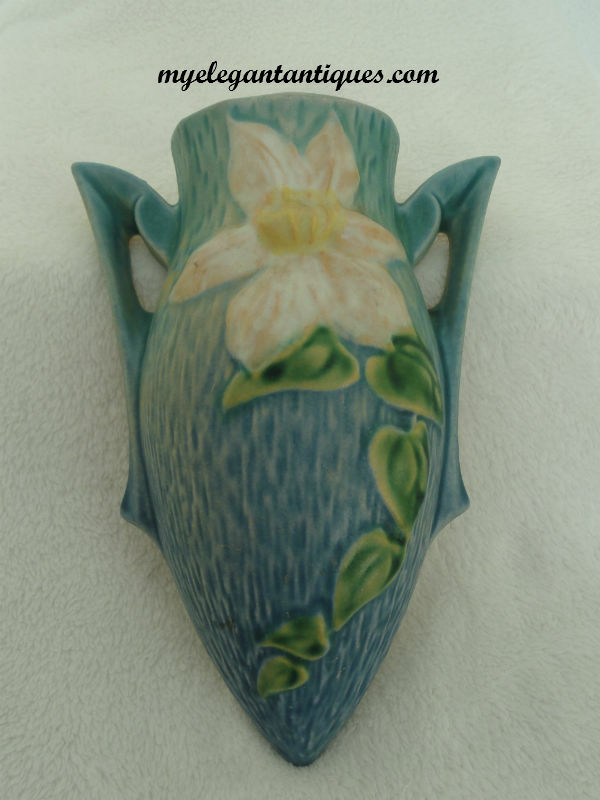 This wonderful blue Clematis pattern wall pocket is one of those masterpieces. 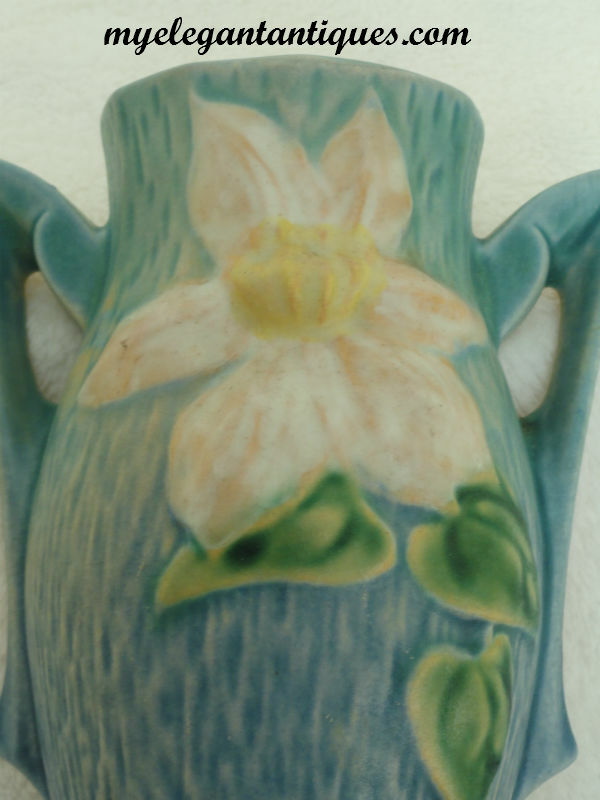 Roseville introduced the Clematis pattern in 1944, producing wares in blue, brown and green. The Clematis pattern features broad blossomed flowers on trailing vines of green ivy against highly textured backgrounds. The result is a feast for the eyes! 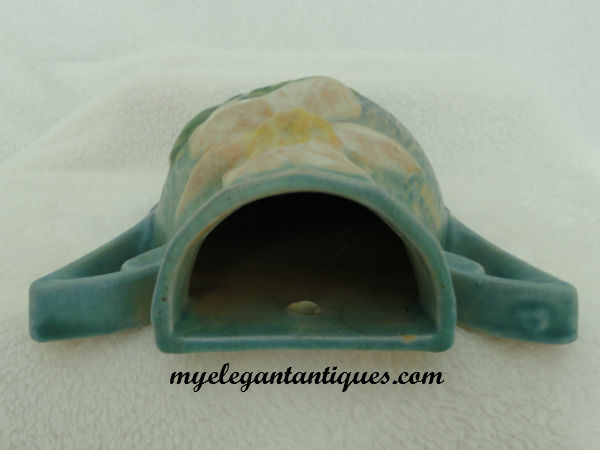 Our vintage wall pocket is in excellent condition, with no chips, cracks or repairs. It's only flaw is a small paint skip on the top rear rim of the piece which occurred during the manufacturing process. Please see picture #4 below for a detailed view. 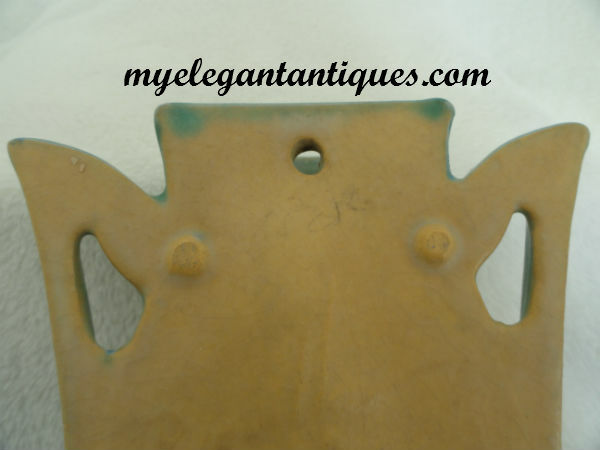 It measures 8-3/8" tall and 6" wide. 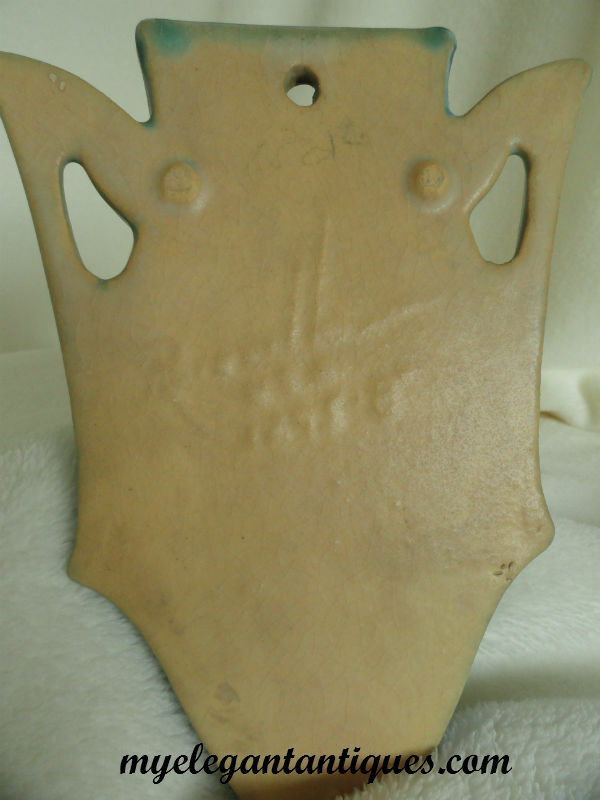 The back of the piece is marked with the raised Roseville signature and 1295-8.